Robin van Persie made his controversial move from Arsenal to Manchester United in the summer of 2012, for an initial fee of £22.5 million, which later increased up to £24 million following his title win with the Red Devils. Along with a Premier League title, the Dutchman also managed to win an FA Community Shield in the three seasons he spent at the Theatre of Dreams. And apart for the title wins, Van Persie enjoyed some of the best moments of his footballing career with Manchester United. Here’s a short summary of 5 of his best moments with the Old Trafford club. Robin van Persie may have joined Manchester United in August 2012, but he became a certified Red Devil on September 2, 2012, when Sir Alex Ferguson’s team played against the newly-promoted Southampton in the Premier League. Southampton’s Rickie Lambert opened the scoring at the St Mary’s with a headed goal, but Van Persie soon equalized with a delightful volley. However, Morgan Schneiderlin – the United man who, back then, played for the Saints – scored another header to make the score 2-1. United found themselves a goal down with 86 minutes played, but up stepped Robin van Persie, who slotted the ball in from close range to level the score. And four minutes later, during the added time, the Dutchman once again rose the highest, and met a corner kick with a clinical header to win the game for his new club. A match-winner scored during the dying minutes of the game – textbook Manchester United. This was the day Robin van Persie got officially engulfed with the Manchester United DNA. Another one of Robin van Persie’s best moments in a Manchester United shirt was also a hat-trick – this one coming against Olympiakos in the UEFA Champions League. David Moyes’ men were drawn against Olympiakos in the 2013-14 UEFA Champions League’s Round of 16 stage. The Reds traveled to Greece to play the first leg of the draw, wherein they experienced a shock 2-0 defeat. United needed to win with a 3-goal margin in the second leg if they were to progress to the next round, and they did end up winning 3-0, thanks to a hattrick by Robin van Persie. The Netherlands International opened the scoring from the penalty spot in the 25th minute, before doubling the lead from close range just before half-time. He then scored his third with a brilliant free-kick in the 51st minute, helping his side reach the quarterfinals in the process. The striker also managed to prolong David Moyes’ stay at the United helm, whilst saving his team the embarrassment of getting knocked out by a comparatively smaller club. Ask a striker an ideal setting to score a goal, and he will probably describe a last minute winner against their biggest rivals at their own homeground. And that’s precisely why this RVP goal makes the list. Manchester United were tied 2-2 with their crosstown rivals Manchester City at the Etihad, with 90 minutes all but up, and the memories of losing the league title to their noisy neighbours on the final day of the previous season still fresh in their minds. The Red Devils were awarded a freekick in the 91st minute, and Van Persie stepped over it, knowing that converting the set piece would not only win his team the game, but also boost their title charge. He hit the dead ball with his sweet left, and despite his strike getting deflected, it reached the back of the net, making the away fans go mental with ecstasy. United’s new #20 had sent his side 6 points clear at the top of the table, and the eventual Champions refused to look back from that day onwards. 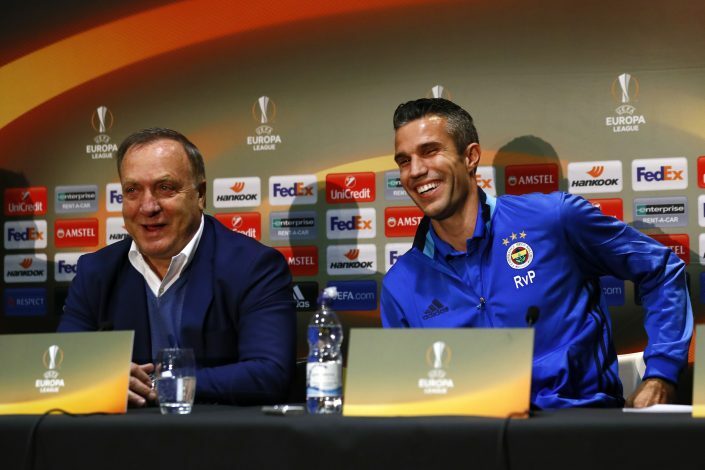 In April 2013, Robin van Persie returned to the Emirates for the first time since leaving Arsenal, and that too as a Premier League Champion. The Arsenal fans – who were already displeased at Van Persie’s decision to join a rival club – were enraged all the more when the Dutchman was given a Guard of Honour by the Gunners for having won the league with Manchester United. The fans of the North London club showed their hostility towards Van Persie by booing him throughout the game. But Van Persie responded in the best manner he possibly could, by scoring another goal against his former club. The game ended 1-1, thanks to Robin’s equalizer from the spot. Robin van Persie joined Manchester United to win trophies, and he did just that in his first season with the Old Trafford giants, by winning the Premier League. And it was his hat-trick against Aston Villa that officially secured United the title. Robin opened the scoring in the 2nd minute of the game, by scoring from close range. He doubled the lead in the 13th minute by scoring the Goal of the Season – a sensational volley which Van Persie himself labelled as the best goal he has ever scored. Sir Alex heaped further praise on the strike by describing it as the ‘Goal of the Century’. Van Persie completed his quickfire hat-trick in the 33rd minute, helping Manchester United wrap up their 20th English League title. The hat-trick also took Van Persie’s total goal tally of the 2012-13 season to an astonishing 24, thereby winning him the Premier League Golden Boot. 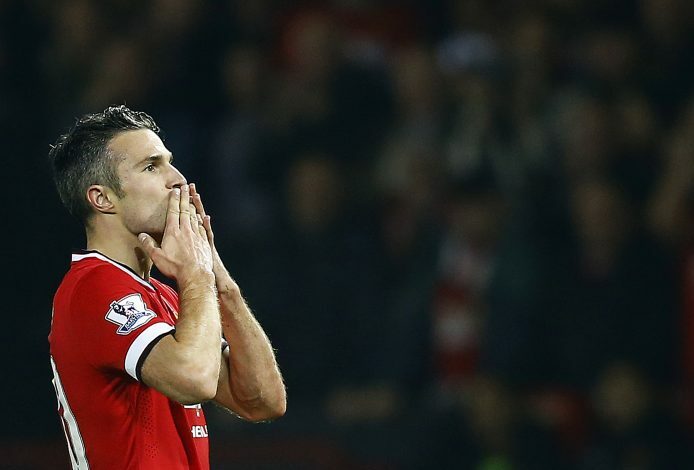 So here they are, Robin van Persie’s 5 best moments in a Manchester United shirt. The striker is now set to make an emotional return to Old Trafford – the place he recently described as “home” – on 20th October, as his side Fenerbahce take on the Red Devils in a crunch Europa League tie.